The ‘Keep Calm And…….’mottos seem to be everywhere at the minute and amazingly enough it has now been adapted for a CD cover, just in time for Mother’s Day. 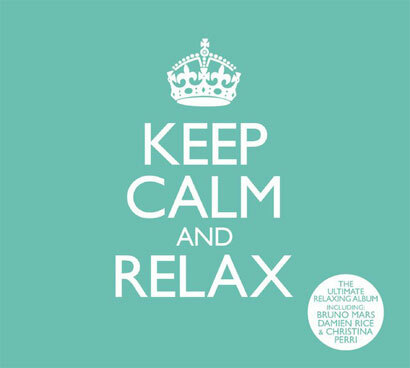 ‘Keep Calm And Relax’ is a 3 part collection containing some pop classics from the past few years, including the likes of Ellie Goulding, Duffy, Kelly Clarkson and also a few X factor wannabes! The only debatable addition is Daniel Powter’s ‘Bad Day’, slight slip-up there music bosses! 'Keep Calm And Relax' is out now.